The project is critical for the energy security of Ukraine. 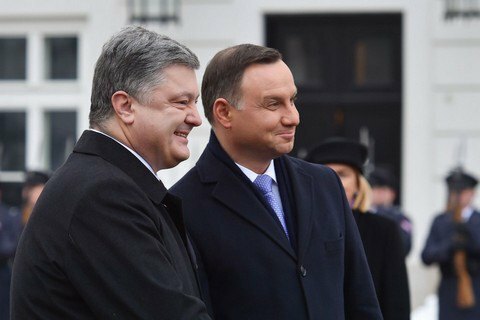 Presidents Petro Poroshenko and Andrzej Duda of Poland agreed on 2 December that the construction of the gas interconnector Ukraine-Poland should start in the nearest future. "We have agreed to have our energy ministers accelerate the construction of the interconnector to facilitate the access of Polish, European and Norwegian gas to Ukrainian market and Ukrainian underground storage facilities," Poroshenko told reporters Friday in Warsaw. Poroshenko stated the belief that the energy security of Ukraine depends on that project. In 2014, Ukrainian gas operators of the two countries Ukrtransgaz and Gaz-System have signed an agreement that provides for the construction of the main gas pipeline interconnector between Poland and Ukraine. The estimated cost of construction in Ukraine is at 245m dollars. On 9 October, 2015 Ukrtransgaz and Gaz-System reported the completion of the feasibility study of the Poland-Ukraine interconnector and said the construction was to begin in 2017. The connection of gas transmission systems of Ukraine and Poland will allow for enhancing gas imports from Europe to Ukraine through the Polish territory and the storage of European gas in Ukraine's underground facilities. The planned capacity of the pipeline between Poland and Ukraine is at 21.9m cu m a day, or 8bn cu m annually against the current 1.5bn cu m; and 19.2m cu m a day (7bn cu m year) in the reverse direction.